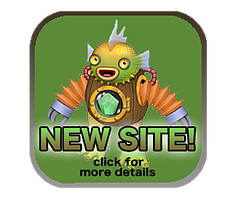 New My Singing Monsters Site Design! Some of you will see a change, some of you won't. The people that do are probably wondering "Why the change?" 'Why' is because we can expand on your experience, we have forums, news, better search capabilities, sorting, you can also comment on anything you want to and be more involved with the community. 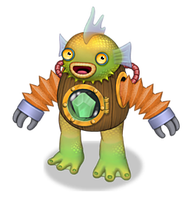 The Bellowfish has arrived in My Singing Monsters! "Indigenous to the aquaslime pools of Ethereal Island, this blubberous beast always wants to be smack dab in the middle of the action. So that they never miss out on that action, Bellowfish cooperate to create each other's crystal-powered mechanized suits, which let them leave the water and join in the musical menagerie. That said, they're not particularly known for their punctuality; if there's a latecomer to a monster party, it's safe to assume a Bellowfish is the one who knocks." 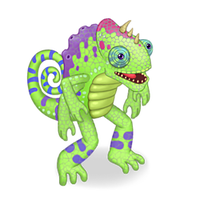 The Kazilleon has slithered into My Singing Monsters! "Kazilleons aren't the greatest-smelling monsters. For one, the toxic gas they spew when they're singing has been known to singe fur and upset appetites. To boot, the noxious fumes emanating from their color-shifting skin is sometimes harvested to help strip paint off of old buildings. The thing is, they're so friendly, everyone wants them around anyhow." 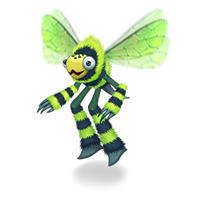 "The Humbug is the incarnation of the misunderstood Ethereal element of Poison. When it buzzes its wings fast enough, it can open up and glide on supersonic dimensional highways from universe to universe. Humbugs naturally enjoy warm weather, and are drawn to humid places where the hum produced by their wings has the finest tone." The Schmoochle has hugged its way into My Singing Monsters! No one can agree on how the two-headed Schmoochle came to be. Some say that it began as two individual monsters who fell so deeply in love with each other that they forfeited their own bodies and decided to live together in just one. His saxophone sound will warm your heart! 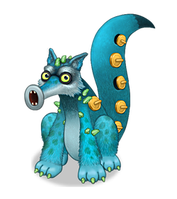 According to monster lore, the ancestors of the Sox were self-conscious of the gaping holes in their tails. Over time, it was discovered that eating precious stones spurred the growth of peculiar metal pads over the holes. Quite by accident, Soxes learned they could use them, along with their tube-like snouts, to create smooth musical riffs! The age-old mystery of 'What does the Sox say' has now been solved.